An O.D. clamping pipe machining tool for beveling small heavy wall tube and pipe that adapts to virtually any work environment and is ideal for training welders is being introduced by Esco Tool of Holliston, Massachusetts. The C-Monster MILLHOG® is an O.D. clamping tube and pipe beveling machine that can bevel, face, and bore simultaneously, and pull a thick chip dry; without cutting oils. 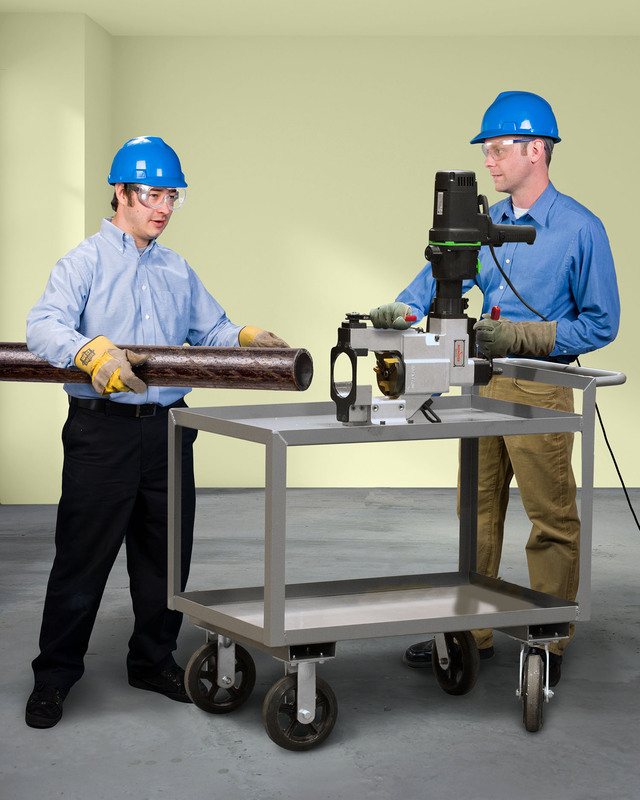 Suitable for making tube and pipe assemblies virtu-ally anywhere, this tool mounts on a cart for total mobility and produces bevels with smooth mirror finishes on Inconel and Super Duplex alloys. Ideal for machining test coupons in welding schools, the C-Monster MILLHOG® has a range of 1.75” I.D. to 4.5” O.D. and features a clamp with a large contact area that holds the tube and pipe rigidly and reduces chatter. It has easy to change tooling and can flat face thin wall stainless for orbital welding. An 1800 W electric motor and 2 HP pneumatic motor are available. The C-Monster MILLHOG® electric version is priced from $5,995.00 and is available for rental at $250.00 per week.